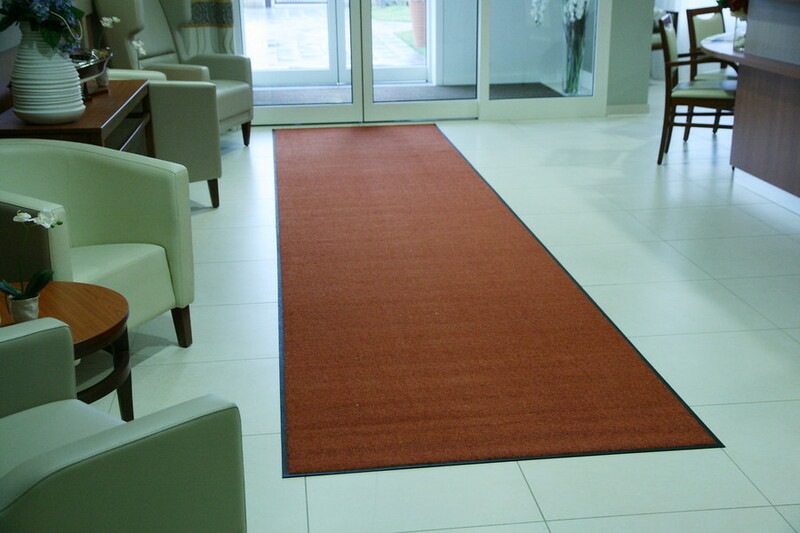 Footprint drying mats Alustep® are the really custom & efficient solution to make your entrance unique. 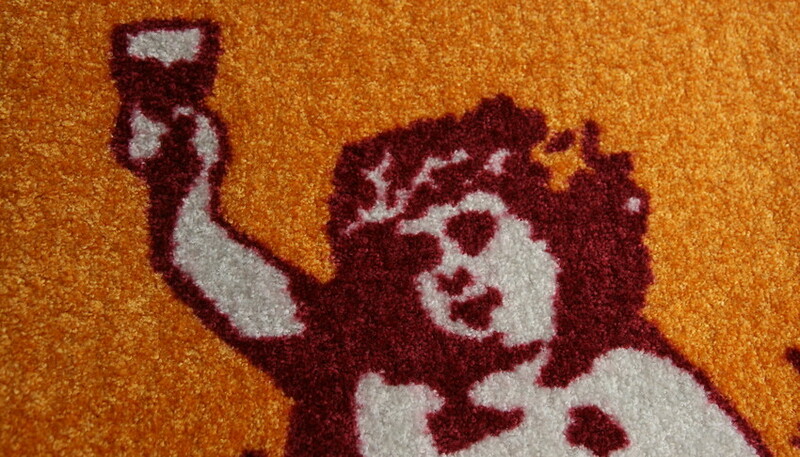 NICE: a wide range of colors, plain or melange, on a soft pile with high performances. Washable with warm water up to 50° (120°F), it remains nice always, not only when new! 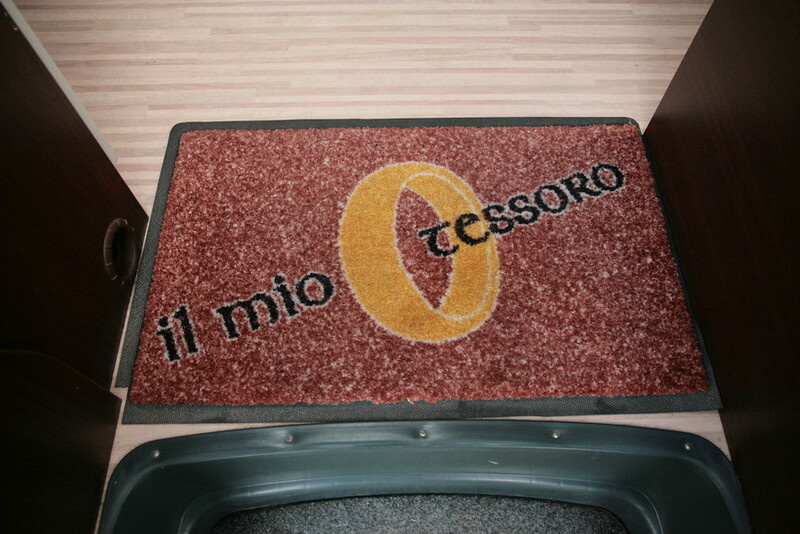 UNIQUE: customized with your logo, drawing or name or whatever you want or simply with the colors you choose, your entrance will be unique! 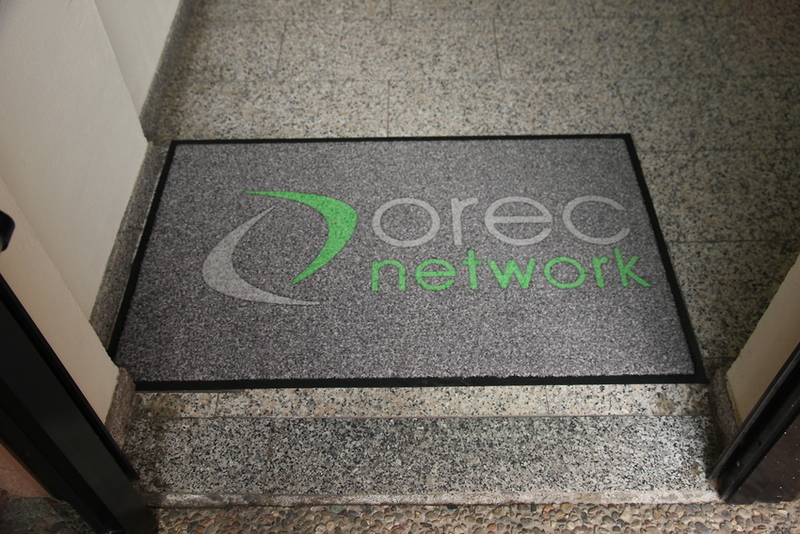 Get yourself noticed since the entrance with a customized footprint dryier, as our mats are printable as you want and lasting as new. 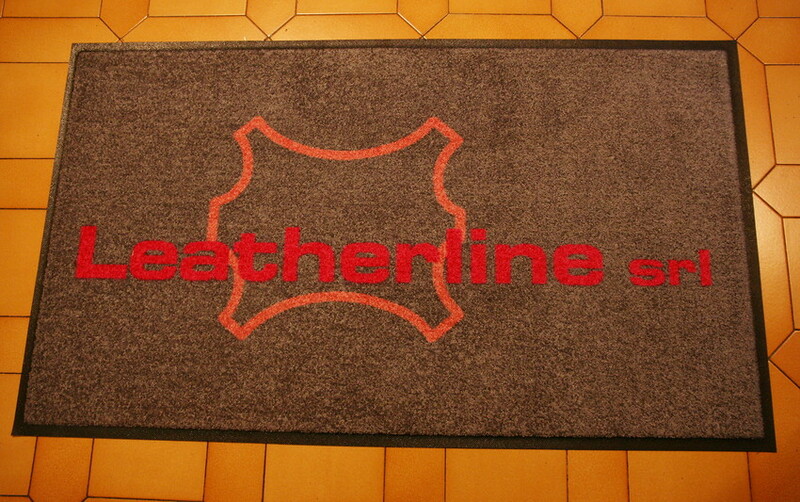 You can add your logo, your name or whatever image. So the footprint dryier becomes an horizonthal sign and become part of furnishing and looking of your entrance. And we can help you to develope an idea, if you need. 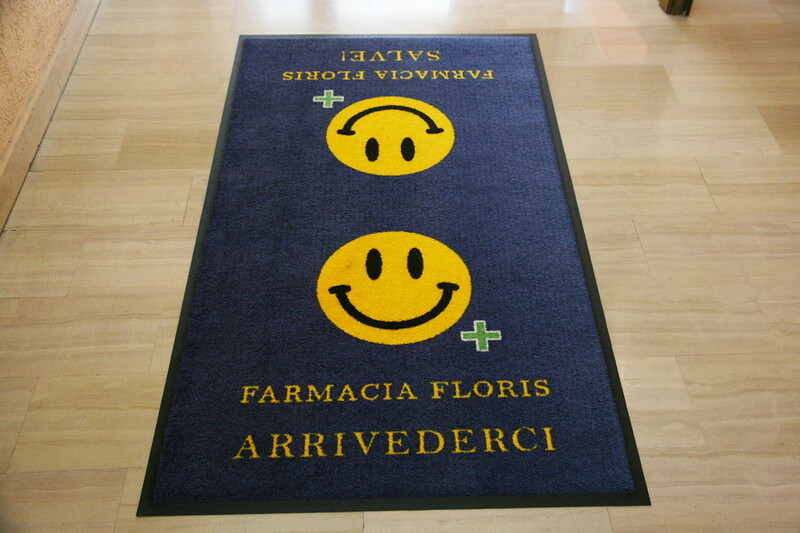 Footprint drier Alustep® is made of soft pile moquette with nice looking, printed just for you in a wide range of colors, plains or melange, standard or special, to satisfy every request. Raindrops on the floor from umbrellas or raincoats create immediately a "feeling of dirt" that surely you are the first to reject, and in addition make every floor slipper . Did you spend a lot of money for a nice floor and few drop make immediately all dirty and unsafe? 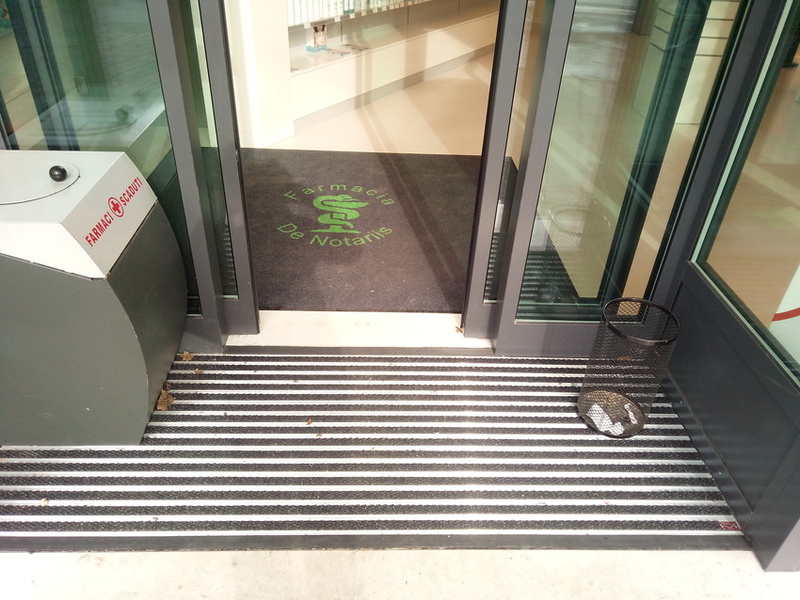 Only with a good footprint drier as Alustep® you can say stop to rain days problems: cleaness, hygiene and safety together with image. And if it doesn'rain, it is always a good tool to preserve by outside dirt. In order to be effective, the drier must get dirty with collected dirt, but for cealning must be maintained clean: Alustep® is always perfectly clean thanks to washability in warm water up to 50° (120°F), assuring hygiene and strong spot cleaning. Even in domestic washing machine. 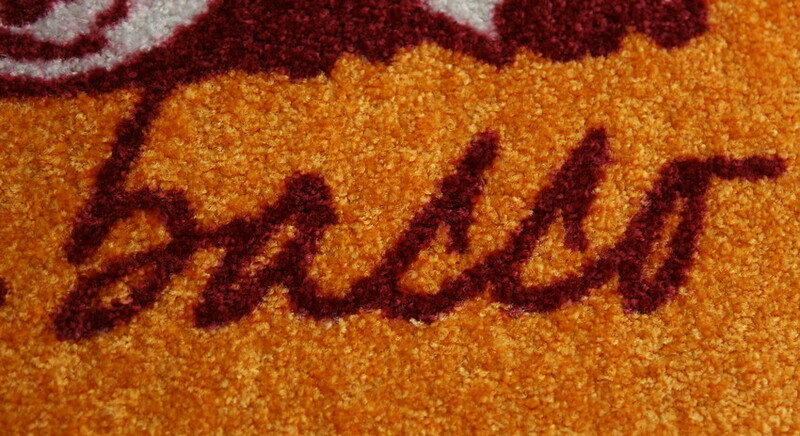 Washable also with moquette cleaners. Alustep® footprint drier remains always clean, not only when new, but later too. If your floor has a slope or anyway becomes slippery when it rains, the risk to slip is real. Don't worry! 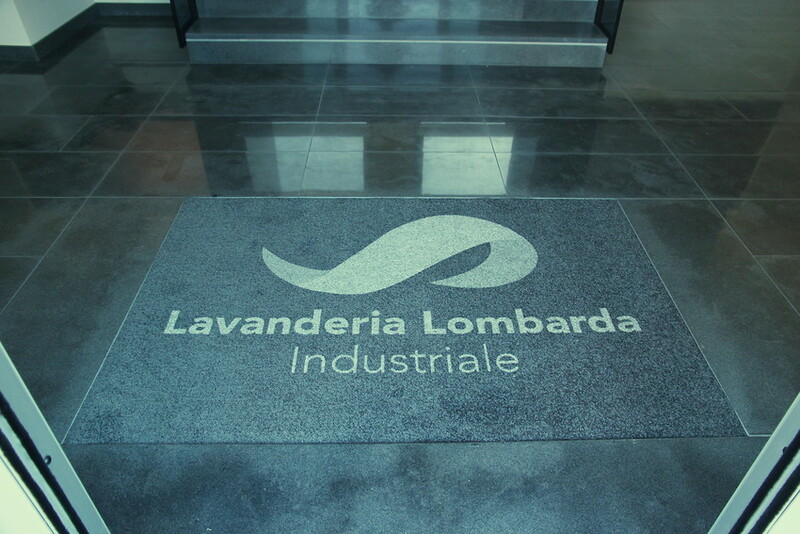 Thanks to its high adherence to the floor the footprint drier ALUSTEP® remains perfectly sticking on the floor. Realy a mat preventing accidents. 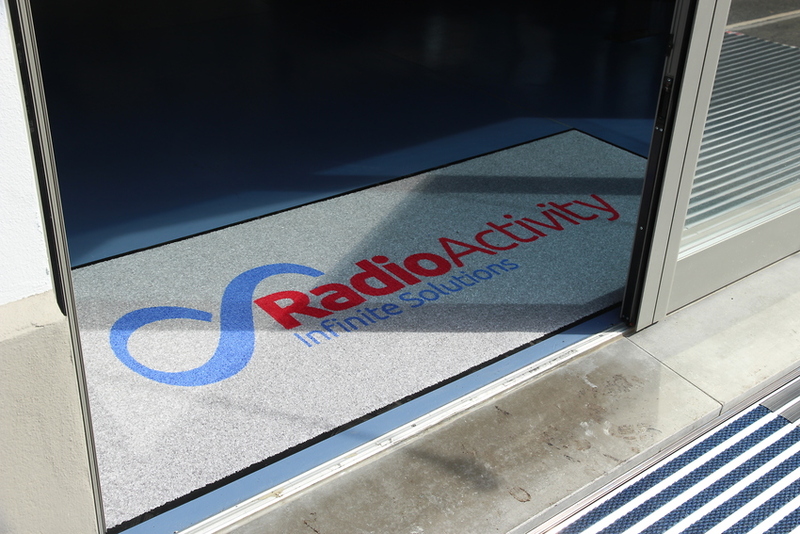 The soft rubber back-side of ALUSTEP® footprint drier keeps the mat strongly anchored to the floor, making it impossible to move while walking on and keeping always perfectly flat and adherent to the floor. 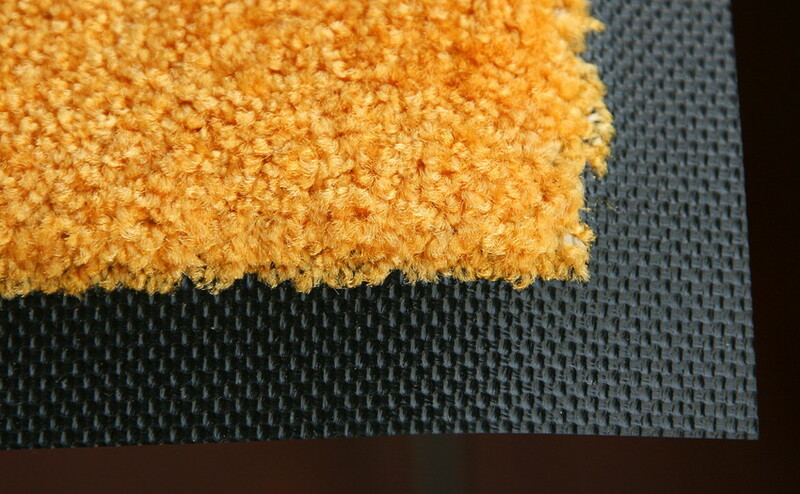 External edge works as a suction pad, increasing the totale adherence and avoiding generation of waves or wrinckles. ALUSTEP® footprint driers assure total reliability in all situations where walking sooth is relevant: approved by rest houses, rehabilitation centers, hospitals. Laying on the floor solution is supported by black edge preventing stumbling, included into the measure you ordered. 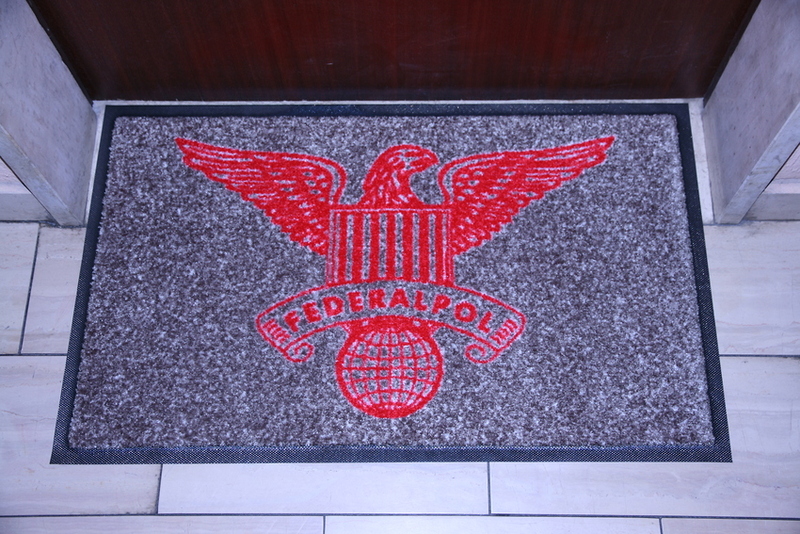 You don't need any advice for placing the mat, simply unroll it and it's self placing. If you need to adjust the mat to a particular shape, you can cut it to shape simply with sharpener or kitchen scissors. 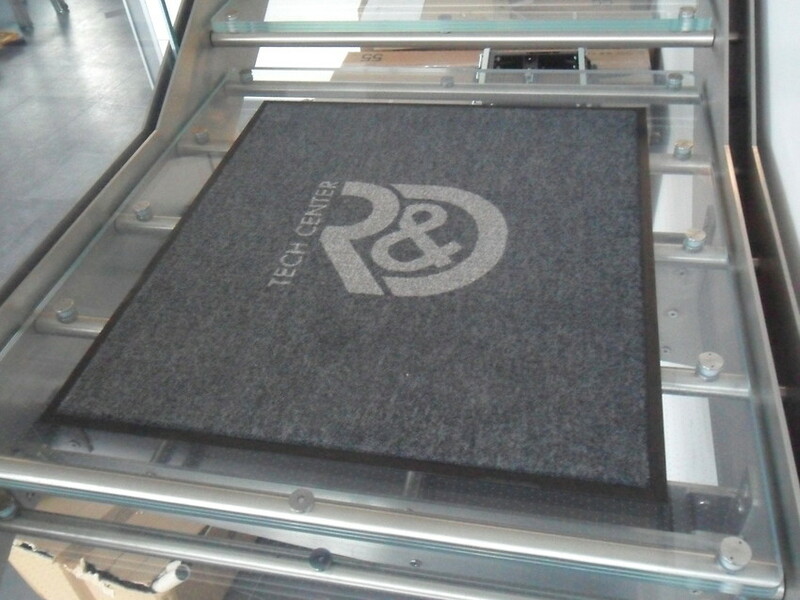 If your door opens over the mat, BEFORE ORDERING check if clearance is enough by placing in the crossed area just a piece of single-wave carton (around 5 mm thich): if the door runs without moving it, you can place the footprint drier without interference. If not enough, you can check if door hinges can be adjusted to get some more clearance. 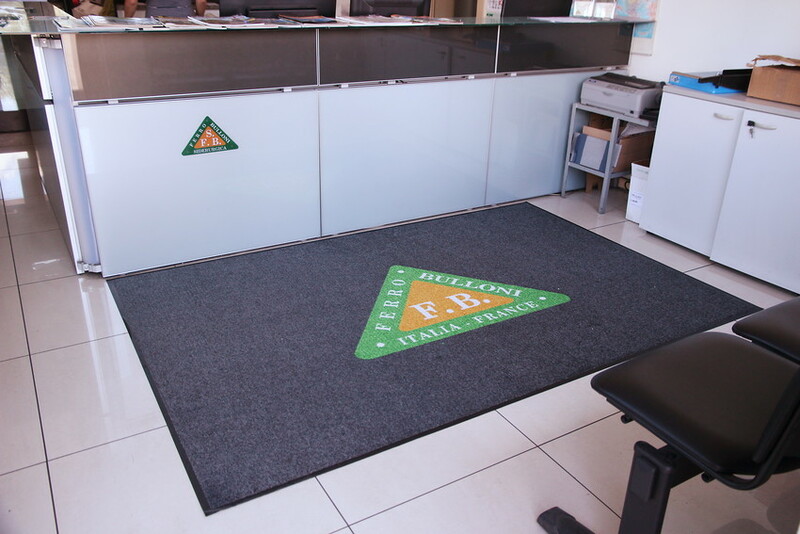 Footprint dryer mat can be recessed on the floor to avoid interference with doors opening over the mat. Recess depth must be around 5 mm. Recessed solution will be provided without black edge and sligtly oversized, in order to match perfectly the recess. Adjustment can be done by kitchen scissors or sharpener. 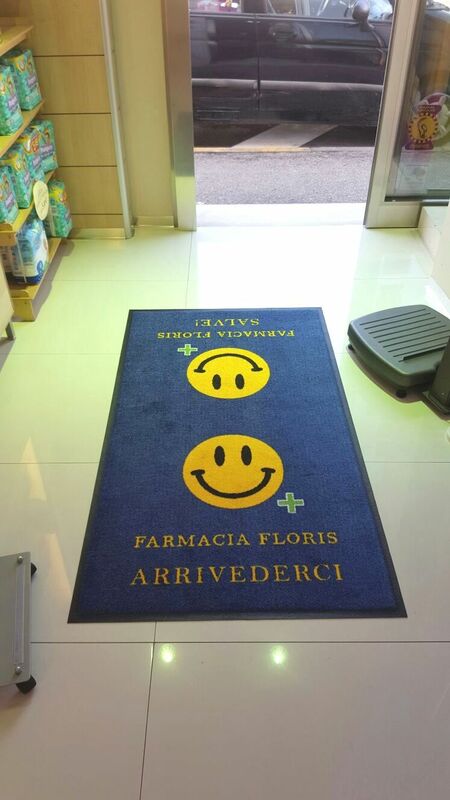 ALUSTEP® footprint driers can be printed in a wide range of colors, plain or melange, standard or special, to meet every requests. You can see the color tabel below, or download it by clicking download, then chose what you want: up to 16 colors can be printed on a sigle mat. 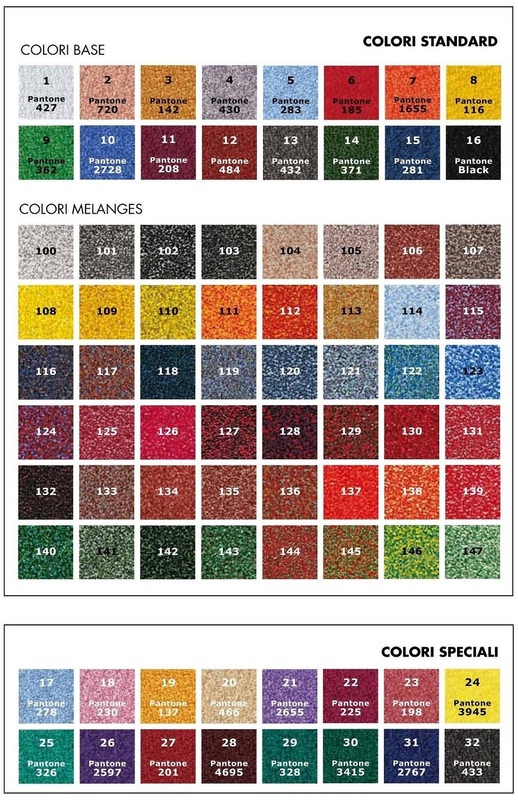 Plain or melange colors in the "standard colors area" are included in price; special colors in the lower area need an overprice. 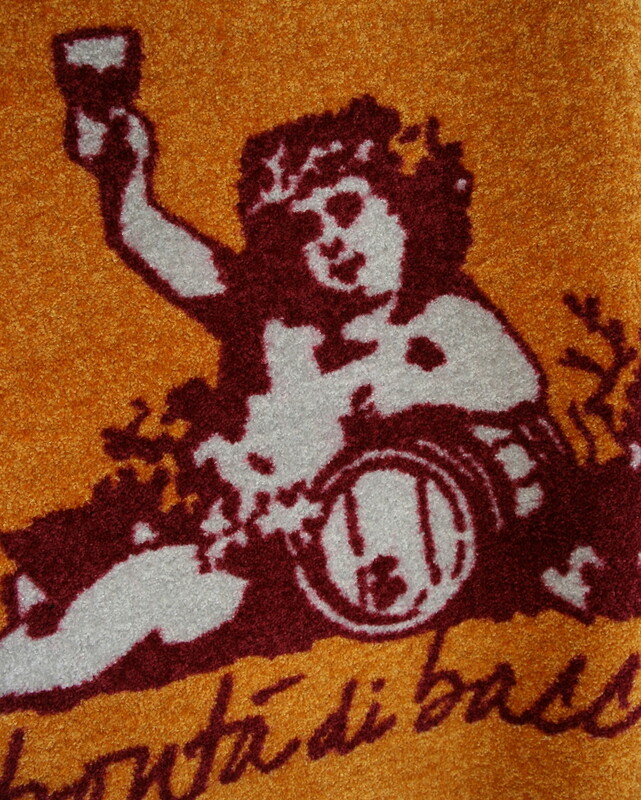 If you have doubts or special printing needs (RAL colors), do not exitate to join us, and we will support you. ALUSTEP® footprint driers are made according to high standards and peculiar specifications. Standard size: 60x85 - 85x115 - 85x150 - 115-180 - 115x240 - 150x240; Available in standard sizes or to measure. ALUSTEP footprint drier can be supplied with standard sizes or to measure; standard size normally allow quicker delivery time, expecially without logo. 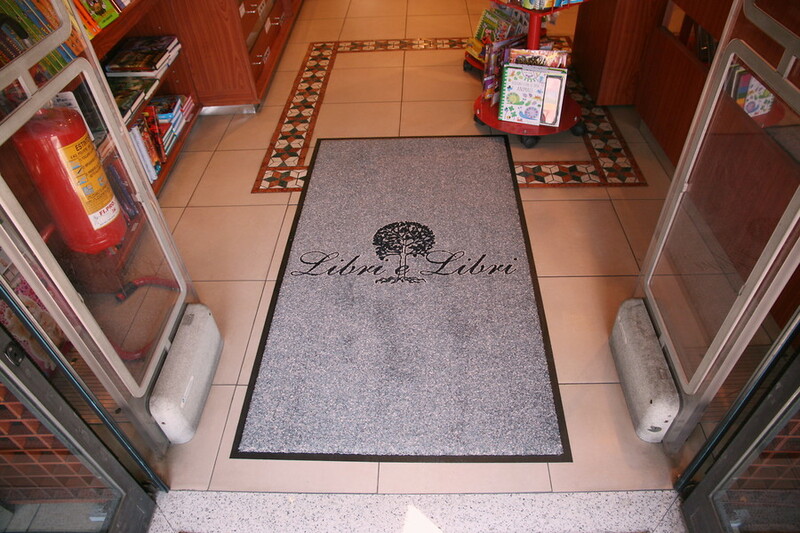 max size for recessed mat: 195 x 540 cm - without edge.